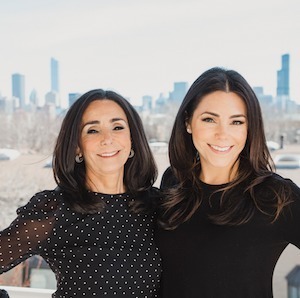 Eudice and Jayme have over 38 years of experience in the Chicago real estate market. With almost $1 billion in sales over 1800 transactions, they have been recognized by the Chicago Association of Realtors as the top 1% of Chicago Realtors for the past 30 years. They are also thrilled to be Founding Members of the Chicago Compass office. Both are Chicago natives and know the nuances of the city, neighborhoods, and the public and private school systems. They believe in good old fashioned hard work and are reachable to their clients at all hours of the day. Simply put, the personalized service they provide and the strong relationships and bonds that they build with their clients is the key to their success. Eudice and Jayme love working with their clients and helping them in all aspects of their real estate needs. The energy that they bring to each client and transaction is unparalleled. They work with buyers and sellers of condominiums, townhomes, and single family residences in all price ranges. "I really appreciate your help, Eudice. You have always been not only a wonderful realtor but a thoughtful and trustworthy human being." - Sophie G.
“You are an incredible agent and an even better person. I thank my lucky stars for having the fortune to meet you, work with you, and become friends with you! Thank you for your hard work and unparalleled integrity.” - Kelly M.
“Thanks so much for your help! We really appreciate everything you did to guide us through this process and to help us obtain a great price for our condo, and would enthusiastically work with you again if the occasion arises.” - Nilofer U. “Thank you both for all your help getting us through to today.... We were lucky to be introduced to you both and the only way it could have been better would have been to have your help on the Connecticut sale side too.” - Amy & Keith W.
“With your guidance & understanding of the real estate market, you got me my dream house. I am so happy here. I really don’t have the words to express my appreciation & gratitude for your help. Plus, you sold my home (which I thought would be a nightmare) in record time no less. I was so relieved. Thank you so very much!! You guys made a lot of people very happy!” - George A.